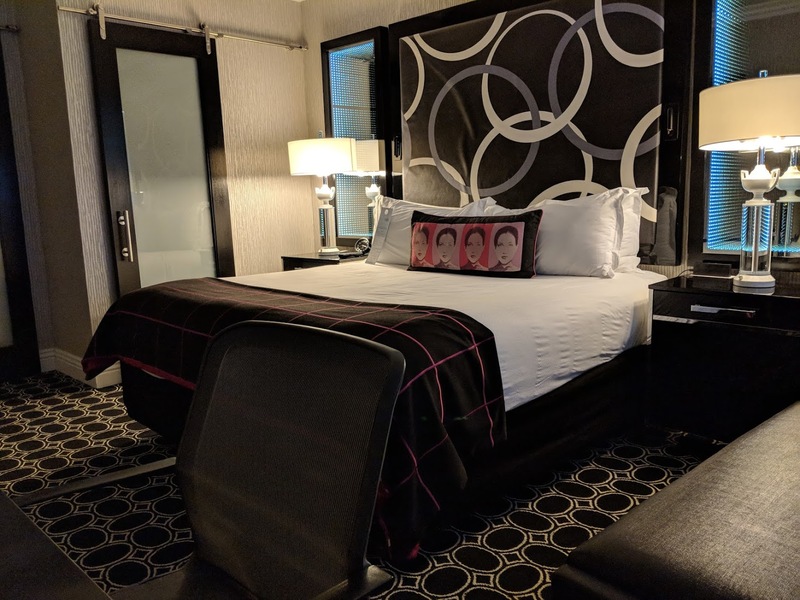 We loved the whole ‘vibe’ at the Muse, like our pared down decor in our room, with minimal colours (black, white, grey, hot pink – done) and graphic pop art touches (note the Warhol-esque pillow on the king bed a few photos down). 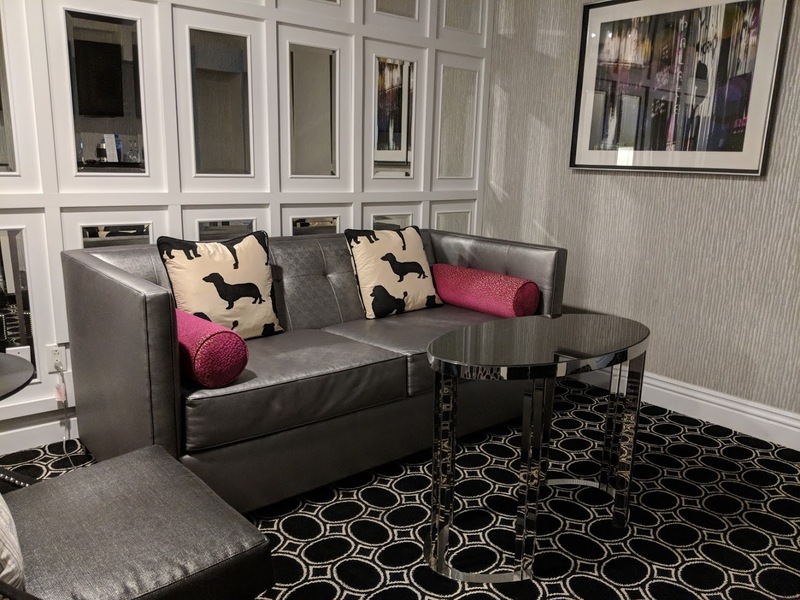 The Kimpton hotels have really perfected the “it’s the chain you trust, but it doesn’t feel or look at all like a chain” experience. 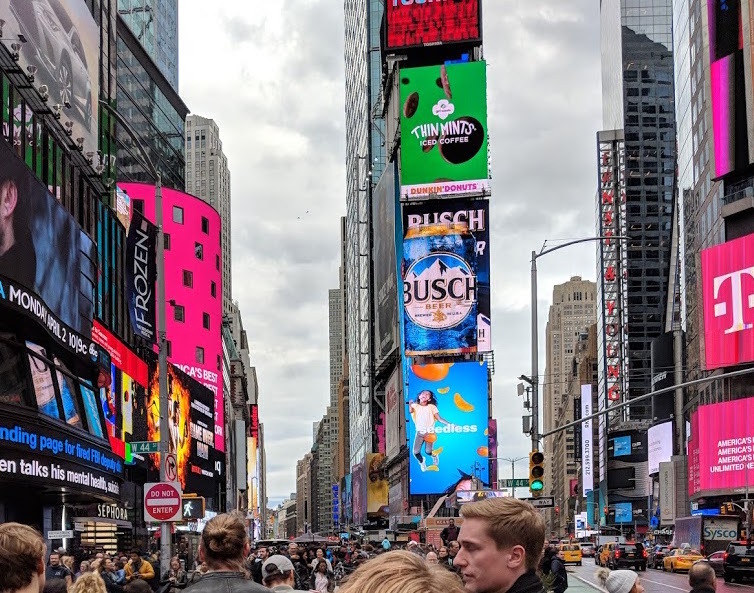 After this third winning experience, we will definitely be on the lookout for other Kimpton properties when making future travel plans. What you’re seeing above is the separate living room in our Executive Suite. The bathroom (not pictured) is just off this room and was quite large, with a beautiful shower completed with scrumptious-smelling Atelier Bloem products. Above is a shot of the bedroom with the gorgeous and very comfortable king bed at the center. Despite the big, cozy bed the bedroom had a surprising amount of ‘wingspan’ room – even with a comfortable chaise lounger near the window, spacious closet and an ample writing desk. In fact, the entire suite was spacious and comfortable, like a very small apartment. It was certainly ideal for our short four night stay but would have been lovely for those on a longer visit. Besides the space and comfortable bed, sofa and chairs, our room was remarkably quiet. 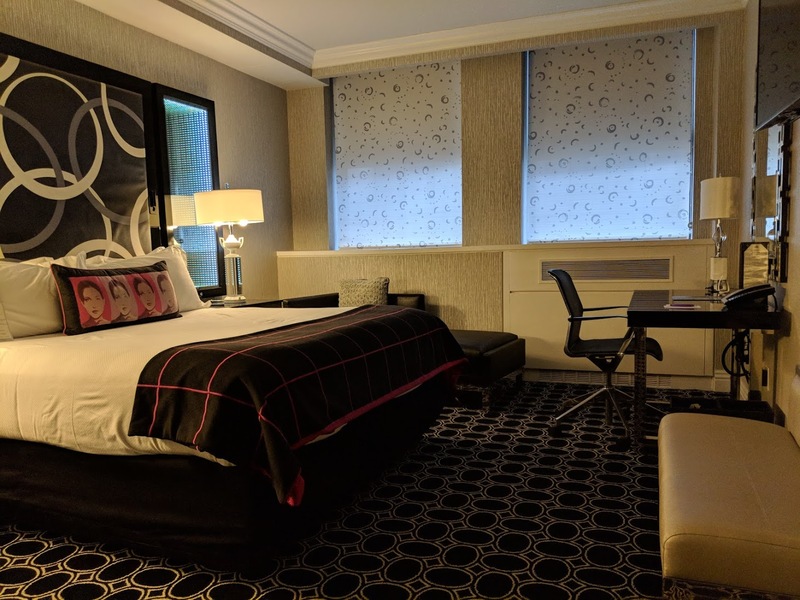 Considering that the Kimpton Muse is a half a minute walk away from the circus that is Times Square, I was amazed at how serene it felt in our room after a busy day in the city. Yes – you’re a hop, skip and a shoulder-to-shoulder jump from what you see above, but you truly leave this bustle and din behind at The Muse – it’s quite magical, in fact. I honestly had some of the best sleeps of my life in our room on this vacation. And they do a great job with lighting in the space. The tasteful shades fit the decor perfectly and were very functional (nice and dark at night). I don’t think we opened them once during our stay as the view wouldn’t have been great (old buildings across a narrow street, delivery trucks). Some of the Premier rooms and suites have balconies – ours did not, so I can’t comment on that experience. But personally, I didn’t feel like I was missing out in any way without one. There is a restaurant located right in the hotel – Nios – serving breakfast, and dinner with an “American fusion” menu. With so many other options minutes away by foot, cab or Uber, we didn’t eat at Nios, but it looked attractive, and it was certainly convenient. I can’t sign off without affirming that yes, the Muse has the Kimpton’s signature complimentary coffee set up in the lobby each morning, and more importantly, a free, hosted wine hour in the early evening – a great way to end the day and start your night. The Kimpton Muse is stylish, comfortable, quiet and relaxing, has great service, and is located near everything. You’ll love it!